reason to not consider it. about the future influences how we think and behave in the present. challenge our understanding of how the future may unfold. an overview of what is meant by futures studies, foresight, and scenarios. consider the future in a more systematic way by using a tool called “scenarios”. disadvantages of using scenarios as a tool for exploring the future of IP. future as an area worthy of exploration. Future exploration, also known by some as “futures studies”, has many forms. 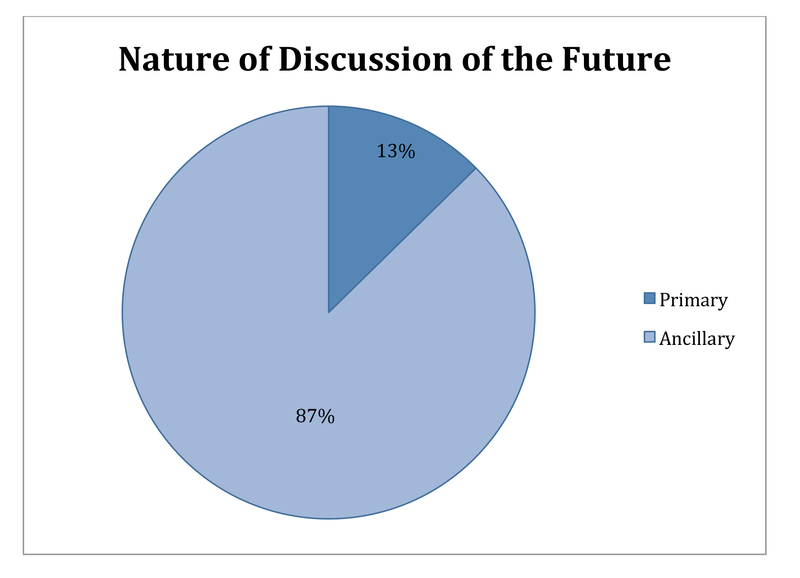 this paper focuses on one way to consider the future—foresight. have been its primary users in recent years. groups began to make use of these tools. panels, as seen in Figure 1.
accommodating, foresight can be successfully used in a wide range of projects. more importantly, how they act in the present. of tomorrow, but better decisions about the future. Addition through Genomics and GE3LS project, VALGEN. reviewed journals thus providing access to a broad range of works. management topics, including works exploring strategic future planning. humanities, science, and business studies. includes the world’s most respected scholarly law journals. of relevant monographs, mainstream titles, and edited collections. each database while being as broad as possible. We searched only for English sources with no limitation as to time period. No qualitative screen was applied at this stage. question. We coded these works as “not relevant”. plausible scenarios for the future. local, national, regional, international, or global. treated the issue at large without emphasising regional or national delineations. work as being systemic, categorical, or issue-specific. work considers IP laws on a systems level, IP rights systems, or regimes. work considers a specific branch of intellectual property. drivers that an author substantially engaged with. only 226 unique results were relevant to our research question (see Table 3). Property in the Year 2025. Thus, there were a total of 229 unique relevant results. identified several clusters of scholarship. future in an ancillary way. future as a primary or ancillary issue? as an appropriate way to conclude a work and give it relevancy going forward. treating the future of IP. and the well-known mark protection regime in China. 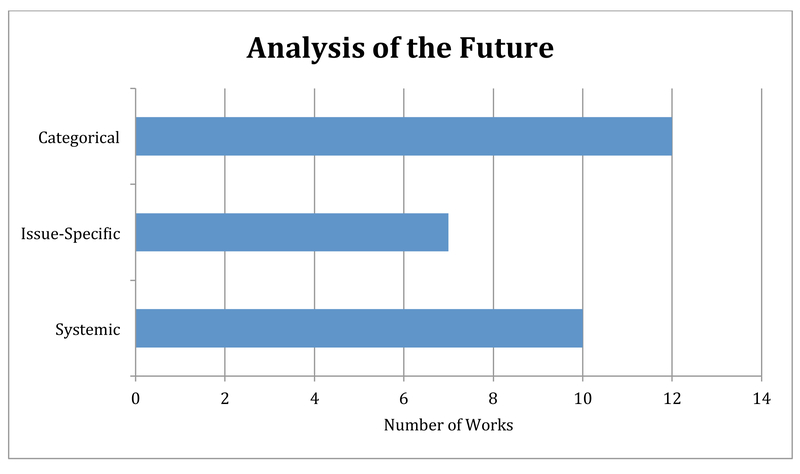 works’ analysis of the future? issue-specific works tend to consider the future in a predictive and linear way. future in an ancillary manner treated the future as open-ended and uncertain. 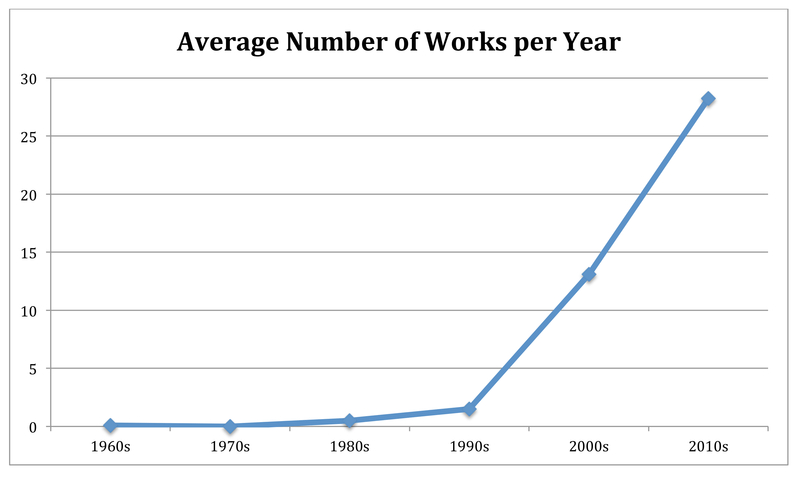 apparent that the body of literature relevant to the future of IP is growing. Aspects of Intellectual Property (TRIPs). relevant works growing over time? considering the future of IP. copyrighted works will have an impact on our laws that govern them. change and determine the future? are considered in different analyses? 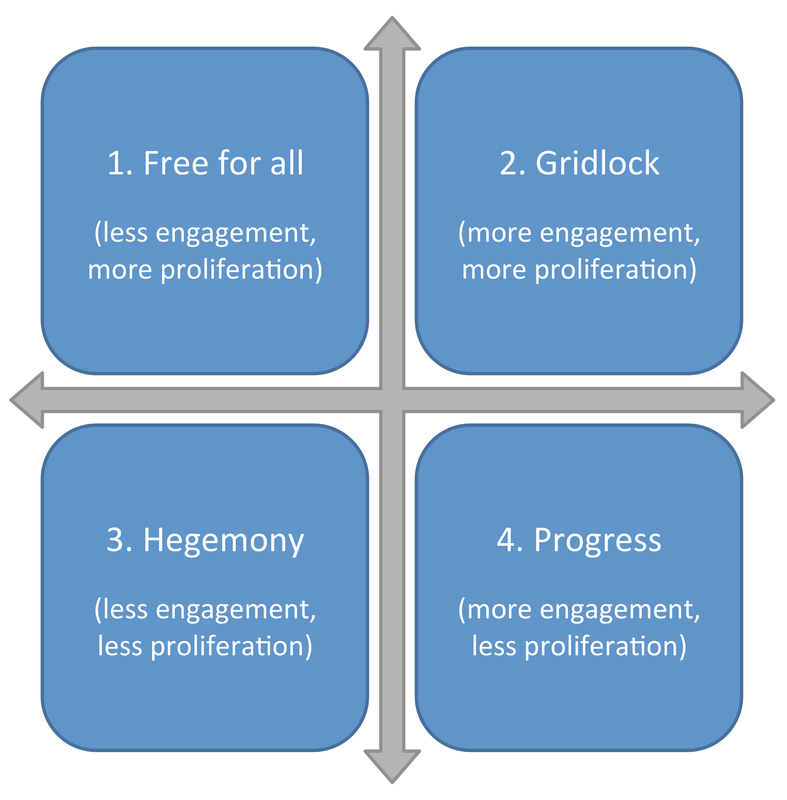 closely related fields, as drivers of change, such as economics and politics. environmental factors in shaping the future. intellectual property are generally less relevant than they might otherwise be. 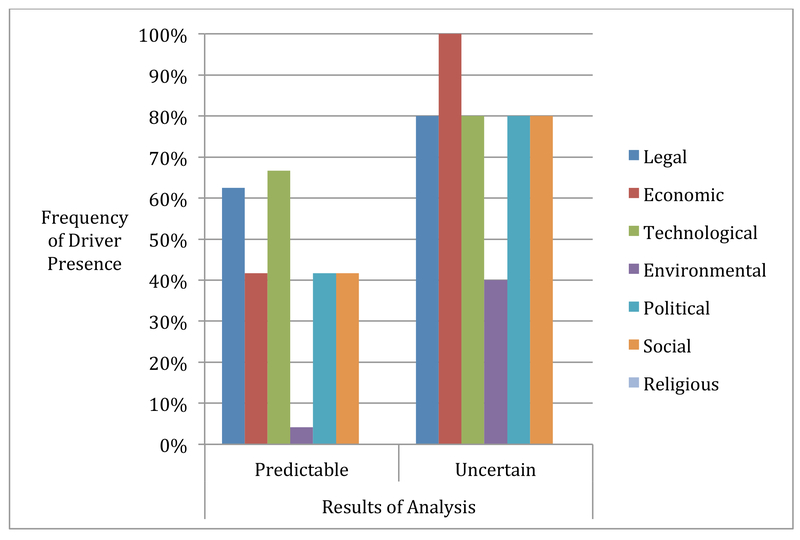 future considered in works that treat the future as uncertain (see Figure 7). 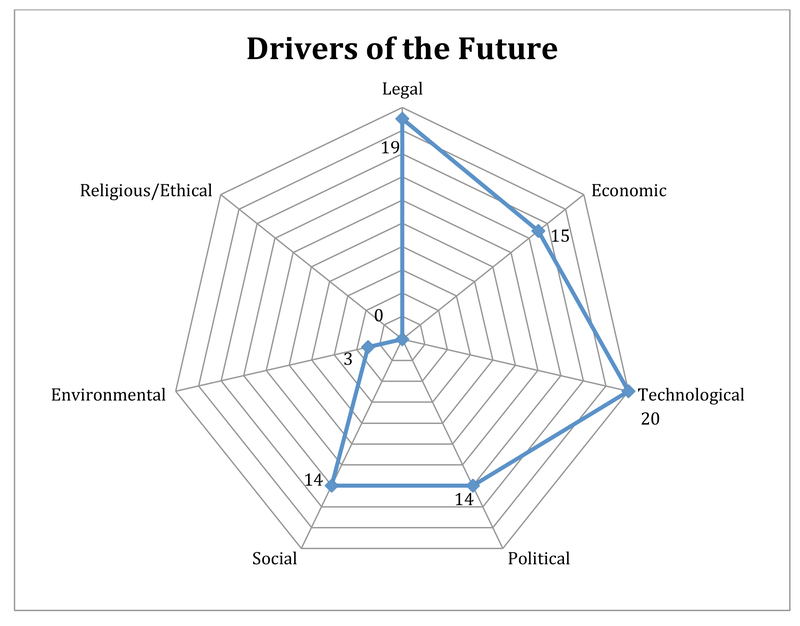 approach to considering the drivers of the future. change correspond to the way the future is conceived? the way the world may turn out in the future, as previously discussed. ways in which they may unfold. and (iv) the European Patent Offices’ “Scenarios for the Future”. future, and challenges us to think outside traditional expectations and norms. future-oriented debate that will bring us to our most desirable future. the future will be similar to today. incremental expansion of these rights. into the future of WIPO’s Development Agenda”. 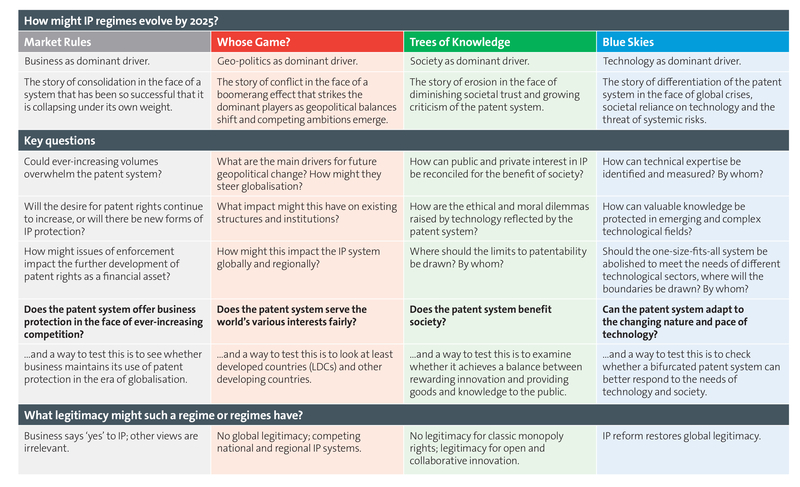 the year 2020, as seen in Figure 8.
understand uncertainties regarding the future of WIPO’s development agenda. intellectual property involves one or more of four distinct characteristics. research at large considers IP issues. common problems and adopt best practices in respect of future-focused IP research. might consider engaging in vis-à-vis other IP-related issues. out consequences in a limited way. scenarios as a basis for their discussion. systematically looks into the long-term future. regarding how foresight was conducted was confidential and inaccessible. use foresight. It has become mainstream. factors that will drive the world’s future. on the future of IP. the future of IP in a preferable way. the future of IP, we can begin to recognise its limitations and obstacles. 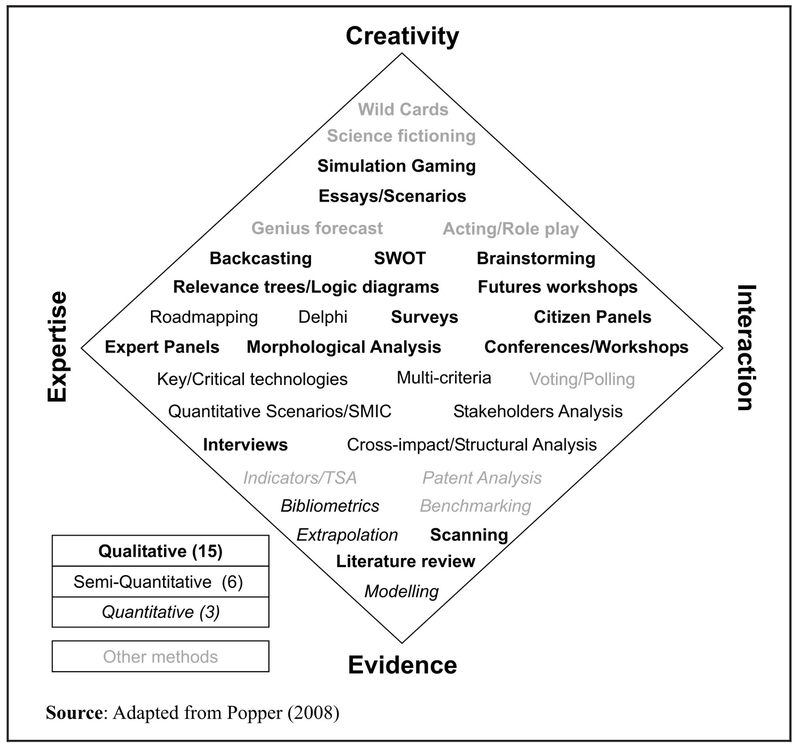 contextual and higher-level approach to factors that may drive future change. Halbert and Gollins, Hinze and Wong. policymakers legislate in a more proactive and iterative way. role of IP scholars ought to be to challenge assumptions and pre-conceptions. including any alterations made to our standard search parameters. abstract, abstract identification and keywords. time period available in this database was 1950-present. search returned 655 results, all of which were reviewed for relevancy. following are the relevant results of our search. Information––a User with a View” (2003) 25 World Patent Information 303-312. & High Technology Law Journal 207-234.
the Future Prospects” (1986) 50 Albany Law Review 509-521. Infringement” (2009) 47:4 Osgoode Hall Law Journal 619-662. Patents” (2010) 113:2 Journal of Taxation 81-93. Far?” (2000) 62:1 University of Pittsburgh Law Review 49-86. Present and Future” (2005) SSRN Electronic Journal available at http://ssrn.com/paper=1685129. (2003) 52:4 DePaul Law Review 1235-1240. Might Evade Copyright Law” (2011) SSRN Electronic Journal available at http://ssrn/paper=1816726. Journal of Computer & Information Law 755-789. World Patent Information 206-208 available at http://www.sciencedirect.com/science/article/pii/017221909190194A. (1985) 11 Brooklyn Journal of International Law 283-323. Visual Artists Rights Act” (2011) 110:1 Michigan Law Review 153-174.
Review of Entertainment & Sports Law 169-211. (2007) 29 Technology in Society 307-315 available at http://www.sciencedirect.com/science/article/pii/S0160791X07000280. Brown, “Illuminating European Trade Marks” (2004) 1:1 SCRIPT-ed 46-57 available at http://ssrn.com/paper=1137535. Future” (2009) 40:2 Development & Change 361-388 available at http://onlinelibrary.wiley.com/doi/10.1111/j.1467-7660.2009.01518.x/abstract. of Toronto Faculty of Law Review 233-264. Journal of Transnational Law 181-201. Chien, “Reforming Software Patents” (2012) 50:2 Houston Law Review 325-390.
of the Copyright Society of the USA 1-11. Agenda” (2011) 2011:2 Wisconsin Law Review 141-165. Journal of Computer & Information Law 409-485 available at http://ssrn.com/paper=1417678. the 1990s and Beyond” (1995) 22:2 Journal of Government Information 87-99.
of the Mind” (2011) 1:2 The IP Law Book Review 50-53 available at http://ssrn.com/paper=1866042. Information, Law & Technology 1-22.
the Future of Web 2.0” (2012) 40:4 AIPLA Quarterly Journal 685-726. Management” (2010) 32:5 European Intellectual Property Review 220-237. Journal of Sports & Entertainment Law 197-220. Regime (Oxford: Oxford University Press, 2012) 143-203. Genetic Materials” (2013) 98:5 Iowa Law Review 1399-1465. Western Reserve Journal of International Law 53-77. 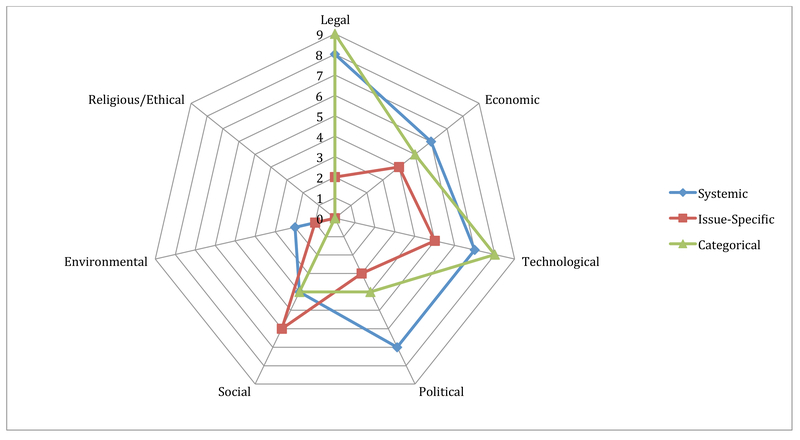 Legal and Regulatory Ecology Shaping the Internet (Paris: UNESCO, 2011). Information 135-138 available at http://www.sciencedirect.com/science/article/pii/S0172219007001354. to its Future” (2012) 19:2 Journal of Intellectual Property Law 231-259. Future” (2003) 17:3 St John’s Journal of Legal Commentary 401-415. Northern University Law Review 5-26. Law & Contemporary Problems 101-120 available at http://ssrn.com/paper=1273711. (2003) 39 Canadian Business Law Journal 162-180.
at ch 8 available at http://ssrn.com/abstract=1690186. (2000) 47 Journal of the Copyright Society of the USA 209-264. Legal Studies Research Paper Series No 1200 available at http://ssrn.com/paper=2103612. India” (2012) 41 Research Policy 499-511. Law Review 1161-1186 available at http://ssrn.com/paper=1648990. ‘Ought’” (2002) 24:6 European Intellectual Property Review 291-293. Graham, “The Future of Patent Law” (2008) New Zealand Law Journal 363-368. 27:1/2 International Review of Law, Computers & Technology 5-17. EU Copyright (Northampton: Edward Elgar Publishing Inc, 2009) 574-612. Computing” (2011) 20:4 Federal Circuit Bar Journal 589-607. (1996) 52 Technological Forecasting and Social Change 147-160. Copyright Society of the USA 225-258. Future” (2007) 54:2/3 Journal of the Copyright Society of the USA 253-284. (2003) 5 Minnesota Intellectual Property Review 47 available at http://ssrn.com/paper=459120. State International Law Review 301-327. The First Sale Doctrine” (2013) 81:4 Fordham Law Review 1965-2011.
of Ownership” 2008:4 Vanderbilt Journal of Transnational Law 863-892. Computer & High Technology Law Journal 829-867. Medical Breakthroughs” (2003) 11:2 Texas Intellectual Property Law Journal 221-258. Non-EEC-Member-States” (1990) 18 AIPLA Quarterly Journal 289-331.
of World Intellectual Property 149-169. (2010) 43:4 UC Davis Law Review 1491-1528. Information Patents” (2002) SSRN Electronic Journal available at http://ssrn.com/paper=318486. 14:1 German Law Journal 269-278. & Intellectual Property Law 127-155. Information Law Symposium” (2002) 39:3 Houston Law Review 567-568. (2011) 28:1 Santa Clara Computer & High Technology Law Journal 143-167. Equivalent Infringement” 2011:3 Brigham Young University Law Review 879-910. Journal of European Law 307-322. John’s Law Review 519-558 available at http://ssrn.com/paper=833564. (2010) 85:3 Chicago-Kent Law Review 1147-1170. Electronic Journal available at http://ssrn.com/paper=1372382. Intellectual Property Review, Forthcoming available at http://ssrn.com/paper=1383067. Journal of Law & the Arts 413-420. Infringement” (2009) 111:2 West Virginia Law Review 607-638. Computer and Technology Law Journal 293-332 available at http://ssrn.com/paper=913989. (2004) 30:5 William Mitchell Law Review 1597-1616. Law 235-271 available at http://ssrn.com/paper=1398109. Century” (1996) 31:1 The Columbia Journal of World Business 6-16. Perspectives” (2009) 46:3 Common Market Law Review 847-884. Amendment” (1993) 18 Journal of Corporation Law 619-651. Levin, “The Future of Copyright Infringement: Metro-Goldwyn-Mayer Studios, Inc.
v. Grokster, Ltd.” (2006) 21:1 St John’s Journal of Legal Commentary 271-310. 93:1 Boston University Law Review 139-162. Act and Interoperability” (2005) 62:2 Washington & Lee Law Review 487-546. Journal of International Law 733-752. Contracts” (2012) 88:1 North Dakota Law Review 161-208. 21:1 Cornell Journal of Law & Public Policy 227-246. Arts & Entertainment Law Journal 391-418. Acid Analysis” (2007) 1:1 Recent Patents on Engineering 71-88. Electronic Journal available at http://ssrn.com/paper=706546. (2011) 33:8 European Intellectual Property Review 477-480. (2008) 52:3 St Louis University Law Journal 855-875. Global Patent” (2000) 9:4 Federal Circuit Bar Journal 606-613. Law School Law Review 63-199 available at http://ssrn.com/paper=328561. the USPTO” (2011) 12 Columbia Science & Technology Law Review 92-158. Wasn’t” (2012) 61:2 International & Comparative Law Quarterly 389-426.
of the Patent & Trademark Office Society 75-91. & Technology Law Review 93-117.
of Pittsburgh Law Review 491-641. Copyright Act” (2001) 16 Berkeley Technology Law Journal 855-876. Arts & Entertainment Law Journal 369-382. Rulemaking” (2007) 10:10 Journal of Internet Law 1-22. (2008) 93:4 Iowa Law Review 1519-1564.
of Marketing Development & Competitiveness 139-149. (2007) 24:3 Cardozo Arts & Entertainment Law Journal 1359-1393. Digital Millennium” (2000) 68:6 Fordham Law Review 2445-2488. Rights and Fair Dealing in the Remix Era” (2012) 17:2 Deakin Law Review 349-384.
and Personalized Medicine” (2012) 33:4 Cardozo Law Review 1601-1631. Technology Law Journal 795-871 available at http://ssrn.com/paper=827825. First Examination” (2009) SSRN Electronic Journal available at http://ssrn.com/paper=996456. Raju, “Is the Future of Software Development in Open Source? Proprietary vs. Intellectual Property Rights 199-211 available at http://ssrn.com/paper=985237. Buffalo Intellectual Property Law Journal, Forthcoming available at http://ssrn.com/paper=1879417. 6:2 Akron Intellectual Property Journal 301-335.
v Portugal” (2011) 14:2 Journal of World Intellectual Property 176-201. Law” (2005) 27 Cardozo Law Review 105-191 available at http://ssrn.com/paper=691543. Boston University Journal of Science & Technology Law 152-176. Sawkar, “Are Storylines Patentable?” 2008:6 Fordham Law Review 3001-3063. Patents Act 1988 in its Place” (2005) 26:3 Statute Law Review 146-160. (2004) 30:5 William Mitchell Law Review 1617-1631. (1996) 31:1 The Columbia Journal of World Business 18-28. (2009) 43:2 University of Richmond Law Review 685-764. Protection” (2012) 7:3 European Food & Feed Law Review 1341-1342.
of Patent Law” (2010) 35:3 Brooklyn Journal of International Law 935-964.
of Law & Technology 70-95. Intellectual Property System” (2002) 75:4 Southern California Law Review 943-982. Journal 689-739 available at http://ssrn.com/paper=1114104. (2006) 23:3 Arizona Journal of International & Comparative Law 787-852. 2010:4 Duke Law & Technology Review 1-24. (2008) 61:4 Oklahoma Law Review 865-890. Dame Law Review 331-407 available at http://ssrn.com/paper=1221642. (2007) 40:2 UC Davis Law Review 1207-1231. Requirement?” (2012) 27:2 Berkeley Technology Law Journal 1171-1200.
of Economic Research on Copyright Issues 151-171 available at http://ssrn.com/paper=1143022. European Intellectual Property Review 345-348. (1996) 6 Indiana International & Comparative Law Review 411-437. (2009) 91 Journal of the Patent & Trademark Office Society 439-483. (2012) 11:1 Duke Law & Technology Review 145-162. Arts & Entertainment Law Journal 423-437. Series No 02-08 available at http://ssrn.com/paper=578568. Law Review 396-410 available at http://ssrn.com/paper=578577. Volume (Westport, CT: Praeger Publishers, 2007) available at http://ssrn.com/paper=923177. 1 The WIPO Journal 1-15 available at http://ssrn.com/paper=1485285. Review of International Law 209-262 available at http://ssrn.com/paper=1934887. de Zwart, “Copyright in Cyberspace” (1996) 21:6 Alternative Law Journal 266-270. Zusammenarbeit (GIZ) for funding that supported this research. Project, University of Cape Town/University of Ottawa. Candidate, University of Ottawa Faculty of Law. (2008) Foresight 10(5) 50-59, at 50. Future” (2009) 1 The WIPO Journal 1-15.
not” available at http://futures.hawaii.edu/publications/futures-studies/WhatFSis1995.pdf (accessed 2 Apr 14). Forecasting and Social Change 186-197. Process and Impact” (2006) 73:7 Technological Forecasting and Social Change 761-777. Doubleday Publishing group, Inc., 1991). 13(3) Journal of Future Studies 107-114. “How Are Foresight Methods Selected?” (2008) 10:6 Foresight 62-89. R Popper, see note 12 above. (West Sussex: John Wiley & Sons Ltd, 2007). P Bishop, A Hines and T Collins, see note 12 above. Sharpe and K van der Heijden (eds), see note 14 above, at 81. P Schwartz, see note 10 above. Literature Review (London: Corwin Press, 2009). Social Science Research Network available at http://www.ssrn.com (accessed 10 Sept 12). (accessed at 10 Sept 12). (accessed at 18 Aug 13). C Hart, see note 18 above, at 94. See Appendix A for time-periods available for each database. than it would if the aggregate results also did not contain duplicate results. 98-100). Halbert’s article was found as a result of a targeted search. Results are up to date as of August 2013. (2005) 25:409 John Marshall Journal of Computer and Information Law 1-104. M Risch, “Forward to the Past” (2010) Cato Supreme Court Review 333-368. K Raju, “Is the Future of Software Development in Open Source? of Intellectual Property Rights 1-20. Copyright’s Opt-Out Future in the Digital Age” (2012) 59 UCLA Law Review 1028-1074. Global Markets” (1996) 31:1 The Columbia Journal of World Business 1-28.
of Technology and Intellectual Property 119-161. European Patent Office, see note 30 above. Coexistence?” (2003) 5:1 Minnesota Intellectual Property Review 47-61. Regulation” (2007) 16:3 Kansas Journal of Law and Public Policy 257-285. University Legal Studies Research Paper Series 1-44. (2008) 4 Vanderbilt Journal of Transnational Law 863-892. L Helfer, see note 45 above. 30 World Patent Information 135-138.
the Books” (2010) The IP Book 41-61. Dell Publishing Group, Inc., 1996) at 3. D Halbert, see note 42 above. D Halbert, see note 30 above. M Gollin, G Hinze and T Wong, see note 30 above. J de Beer and S Bannerman, see note 42 above. D Halbert, see note 30 above, at 229. M Gollin, G Hinze and T Wong, see note 30 above, at 329. Innovation in Africa: Scenarios for the Future” (2013) available at www.OpenAIR.org.za (last accessed 2 Apr 14). Technology Foresight Manual (Vienna: UNIDO, 2005). M Jefferson, see note 8 above. of the Commons in a Connected World (New York: Random House, Inc., 2001). Such as political, environmental, and societal issues. B Sharpe and K van der Heijden (eds), see note 14 above at 21. Technology, and Our Probably Future” which was published in 1996. P Schwartz, see note 56 above.